The friendship between humans and dogs is one of the oldest in history. From archeological findings, it is known that the first dog (Canis familiaris) domesticated by humans was in fact a wolf (Canis lupus). Dogs did not become domesticated through force, there was a friendship and mutual benefit of the relationship which enabled both to eat and therefore survive. The evolution of the dog was rapid. All physical and psychological characters that we see in dogs did originate in the genetics of the wolf. So the wolf followed two paths – in one path the species remained the same; wild, untamed and fierce, but the other pathway to evolution enabled the existence of dogs we see today. As a dog owner it is your responsibility to care for your dog. This ebook gives you all the information you need to choose the right dog for you, and to keep your best friend healthy and happy. Love Dogs? 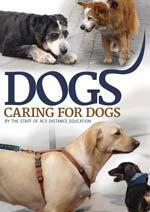 Study Dog Care with ACS Distance Education.